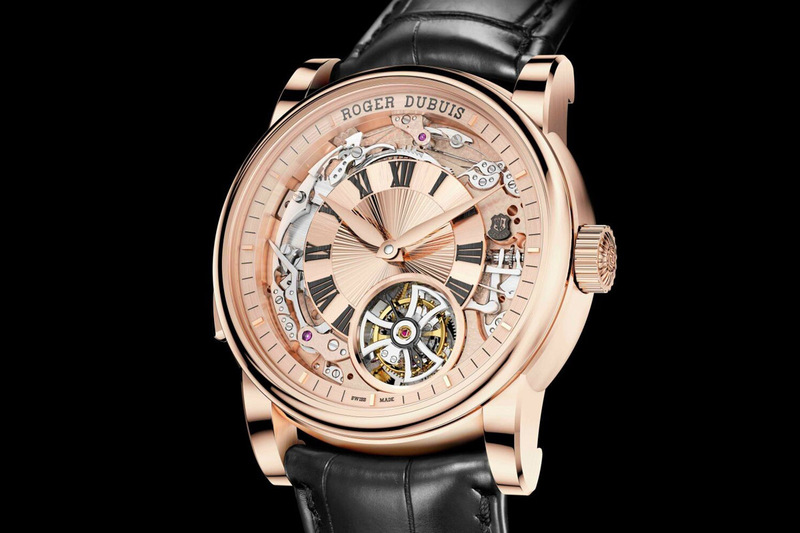 The essence of the minute repeater fully exposed on the dial. The “Concept” concept by H. Moser & Cie. has been widely used recently, with watches devoid logos, markers or indexes (not even the Swiss-made mention). The idea is to focus on the watch and its execution, rather than on marketing and logotypes. In keeping with this concept, at Baselworld 2019 Moser launches a watch that aims at capturing the true essence of the minute repeater. Reduced to its most minimal expression, the chiming components are displayed on the dial accompanied by a flying tourbillon – nothing else. However, making something simple involves complexity. 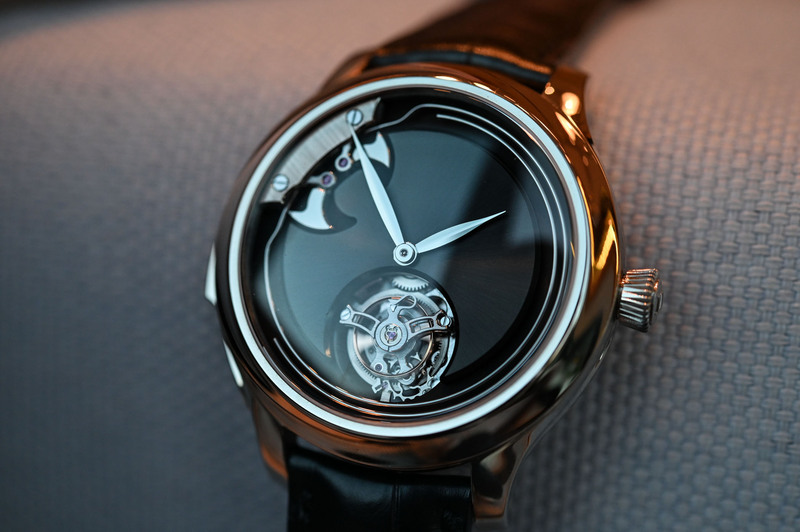 Meet the H. Moser & Cie. Endeavour Concept Minute Repeater Tourbillon. Moser’s “Concept” watches have the huge advantage of being so pristine that when something is added to their dials it immediately becomes the star of the watch. With nothing around to distract, the focus is centred exclusively on one feature. This was the raison d’être of the new Endeavour Minute Repeater and this haute horlogerie and traditional complication was placed smack on the dial – and not through the dial (as often seen) or under the dial (as even more often seen). The beauty of this new H. Moser & Cie. 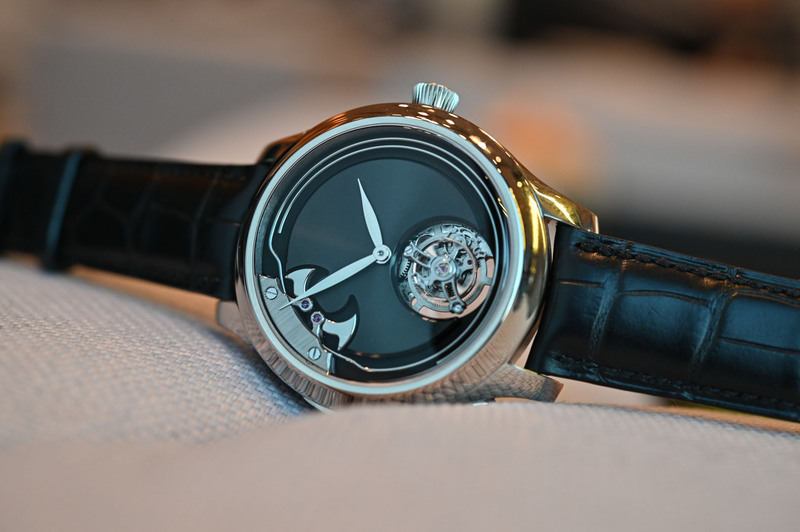 Minute Repeater comes from the entire chiming mechanism placed above the dial. We usually see hollowed dials that reveal some parts of the hammers and gongs. Here, these two components are flying above a black lacquered dial, creating great contrast and immediate focus on the complication. However, simple ideas often reveal complex execution. 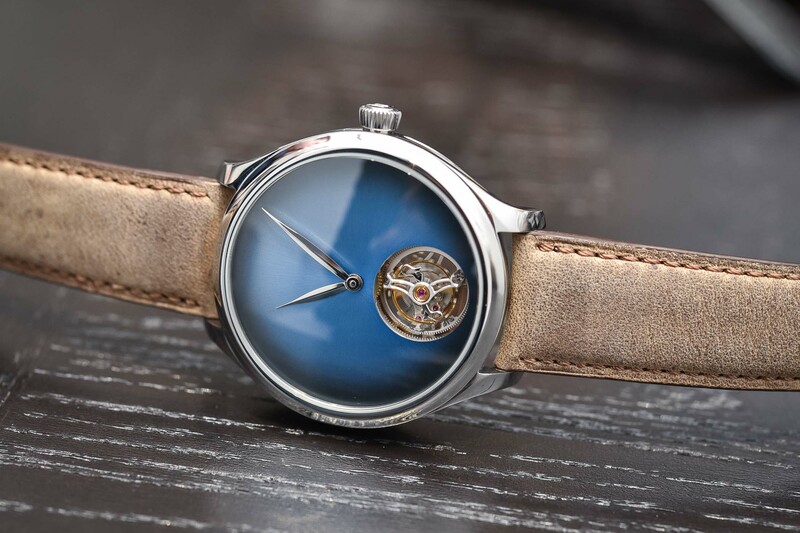 For this watch, the brand has developed a new movement, calibre HMC 903, together with MHC Manufactures Hautes Complications SA – a movement maker specialized in chiming watches. 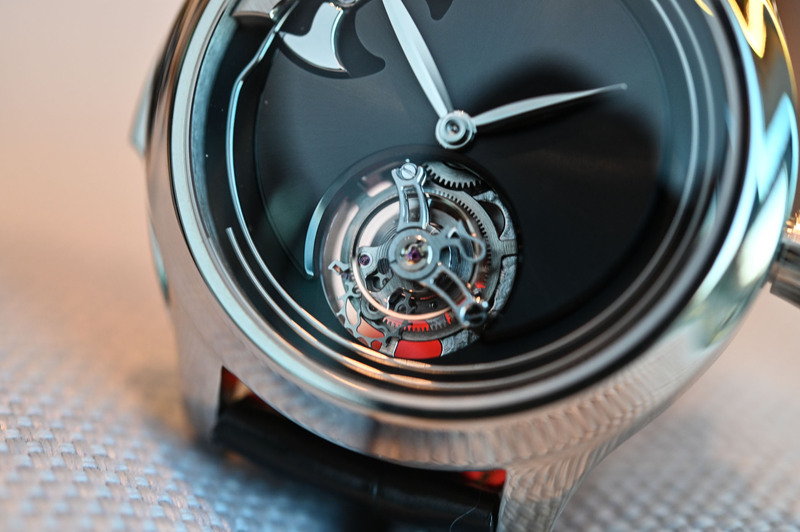 Having the hammers and gongs over the dial was challenging, both technically and spatially to keep the dimensions reasonable – especially with the addition of a flying tourbillon. 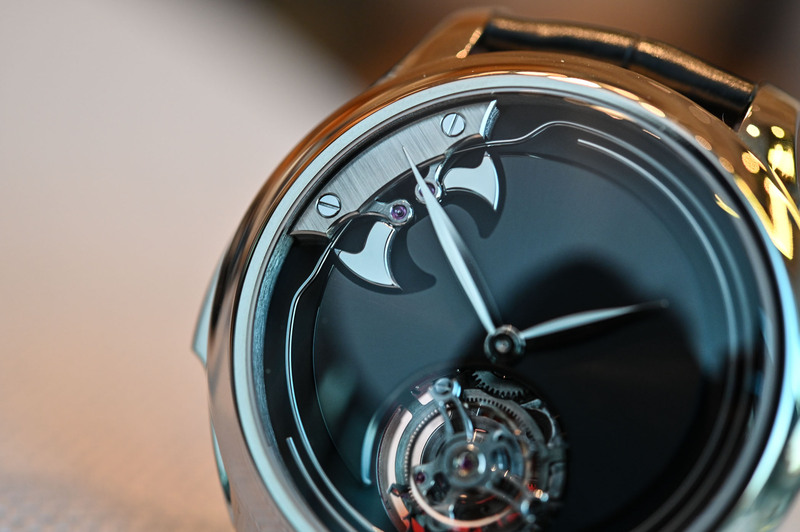 With the entire chiming mechanism placed on top of the movement and the watch, the idea was to have the gongs coiled one next to another one on a single level – and not one above the other on two levels, the classical way. 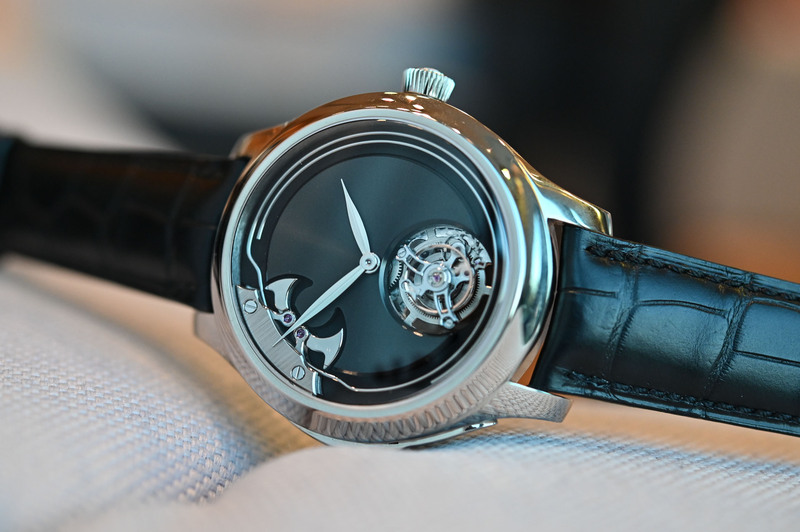 Also, these gongs are curved and not flat in order not to step over the tourbillon. Tuning round gongs is already challenging, but having them shaped is even more complex when it comes to giving them the desired tone. The result of this complex architecture is a watch that maintains reasonable dimensions – 43mm x 14mm – while offering a superb, uncluttered view on two high-end complications – the repeater and the tourbillon. 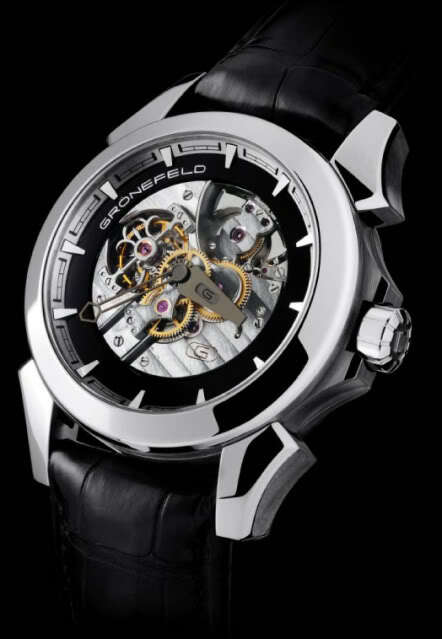 The case, here in 18k white gold, also has a complex construction. The trigger actuating the repeater is integrated onto the main plate and not the case, to gain space. The case has been largely hollowed internally – repeaters need space to create resonance and thus harmonious and powerful sound. 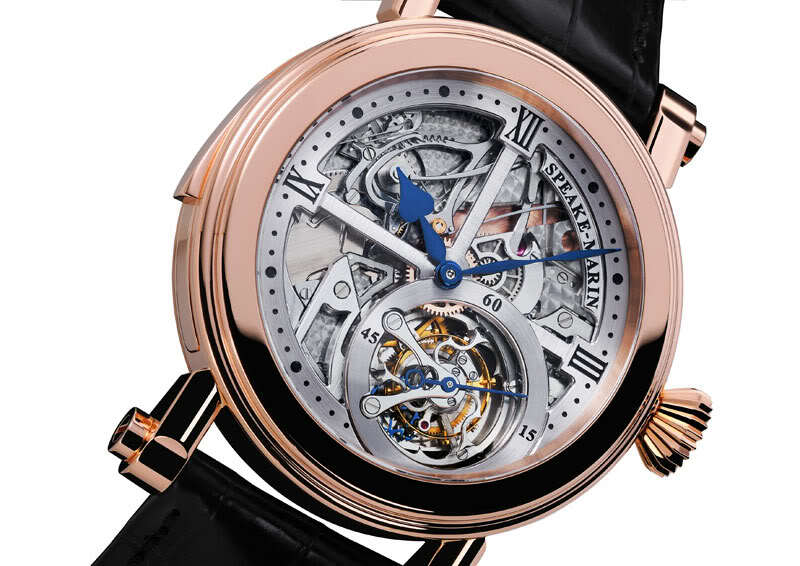 The flying tourbillon, visible under a skeletonized cage, is mounted on ball bearings to reduce friction and thus improve chronometry. 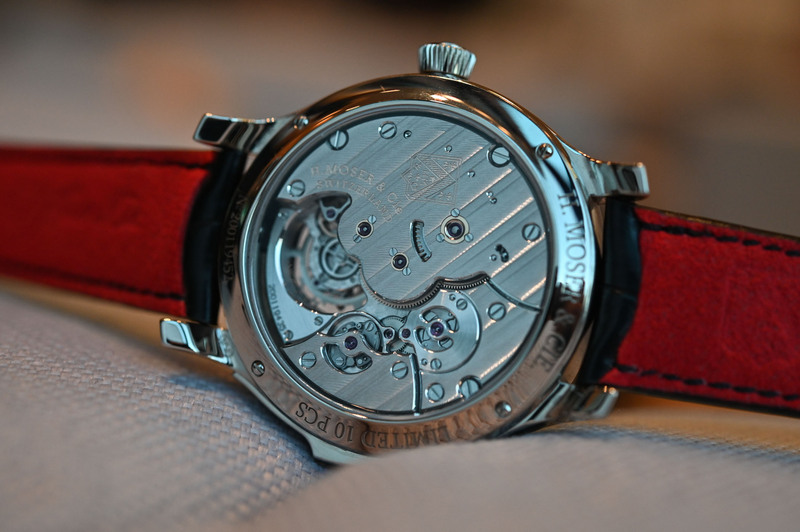 It classically beats at 3Hz and the hand-wound movement has a comfortable 90-hour power reserve when fully wound. 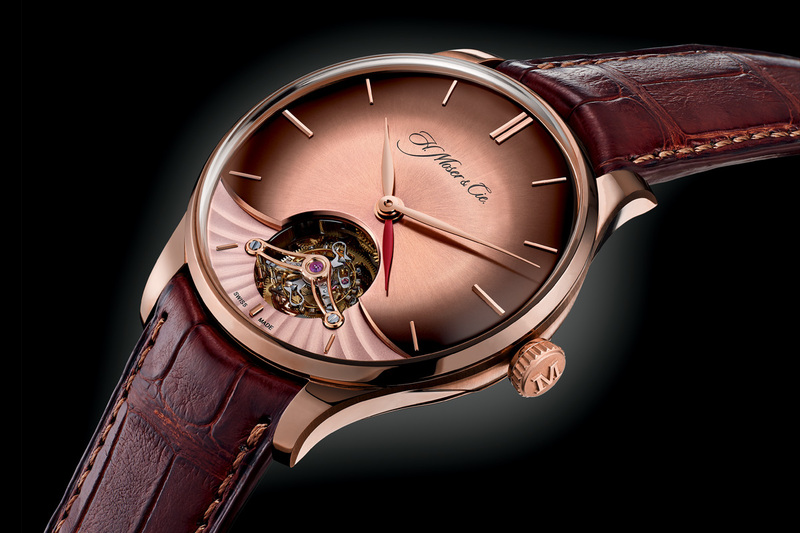 The movement is beautifully decorated with double Moser waves, screwed gold chatons and bevelled bridges. The watch is voluntarily pure and classical, with a black strap matching the dial – just to keep the piece elegant, discreet and focussed on its complications. 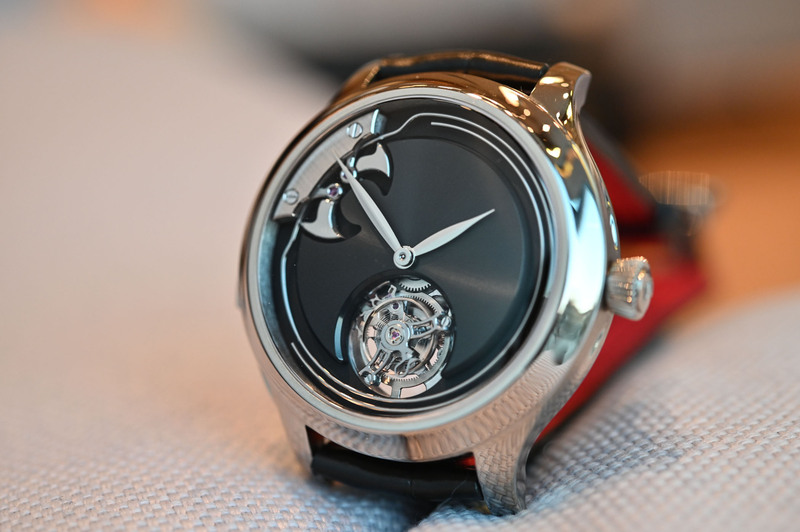 The H. Moser & Cie. Endeavour Concept Minute Repeater Tourbillon is an interesting mix of contemporary and traditional themes. Price and availability to be confirmed. More details at www.h-moser.com.